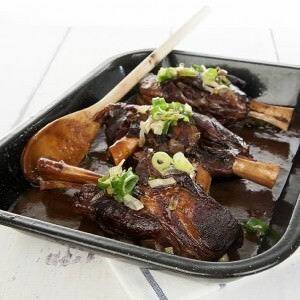 Easy Lamb Shanks Recipe in Maple Syrup "Homemade" & Oven Baked! This slow roasted maple syrup lamb shanks recipe is one of my most requested. When it gets cold I want something deliciously warm and comforting, oven roasted and slow-cooked meals are at the top of the list. 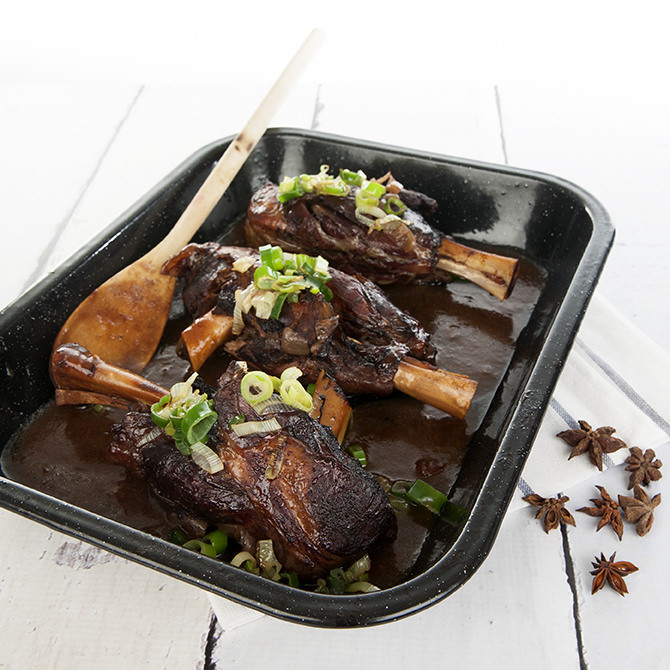 Slow cooked maple syrup lamb shanks are one of my most popular recipes during winter. What else do I usually include in my list of comfort foods? Slow cooker meals tend to fall into that warm, hearty comfort food category so Osso Bucco would have to be there for me also. The delicious smell of the lamb shanks will permeate the kitchen for the whole day. Though the dish is cooked in the oven it needs no more attention than a slow cooker. I love it when you get maximum joy from food, with the minimum effort in cooking. Even while it was cooking the family commented on how great it smells. Throw all the ingredients in a baking tray except the cornflour and water. Cover the tray tightly with foil and bake in the oven for about 5-6 hours. The shanks are cooked when the meat is falling off the bone. Take the lamb shanks out of the oven and keep warm. Remove the star anise and blitz the sauce with a stick blender. Put the sauce on the stove to boil and reduce. Reduce the sauce until the volume has halved. Mix cornflour and water and stir through the gravy. Simmer on the stove until thickened. Pour the gravy over the lamb shanks and serve with fried shallot to garnish and mashed potato. A slow roast Maple Syrup coated Lamb Shank recipe that makes a Delicious meal any time of year. Easy to roast in the oven. 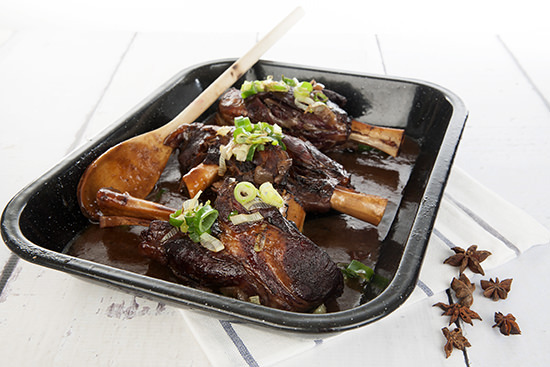 I hope you loved this recipe and enjoyed your maple syrup lamb shanks!